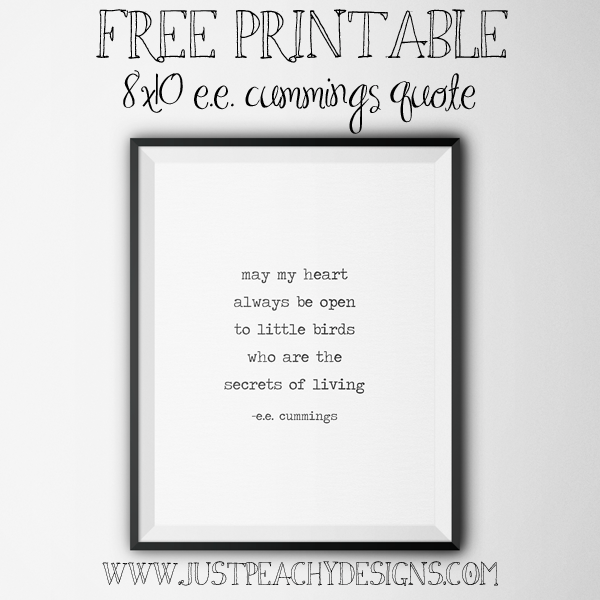 This free inspirational quote printable features a line from the poem "53" by the American poet e.e. cummings. Just click the image above to download. Enjoy!